Things to consider when you are moving long distance – or out of state are much different than trying to find a local mover. First, if you are moving locally and there is an “issue,” taking your mover to court is pretty easy. What happens if there are issues for long distance moves? Well, the law states that you must take the company to court in the state that the move started in. Yeah, its a horrid law. Essentially, you are at the mercy of your interstate mover when they have all of your possessions in their truck. Unless you feel like flying back to your old state for court dates. And that’s just insane. I don’t mean to scare you but I want people moving out of state to realize that choosing a long distance mover is an important decision. 1. Choose movers that have door to door service and don’t take your things off of a truck – called truck swapping. Large van lines claim they can handle offloading shipments, sticking them in a warehouse, putting them with another shipment, offloading and repeat. The more your items get shifted around, the better the chance of broken or missing items. The least amount of times a shipment is transferred, the better. 2. Make sure your movers are experienced. There are only a handful of movers between a huge van line and a “craigslist mover.” These are the moving companies that are large enough to offer great rates and have all licensing required by the DOT and keep your things on the truck without offloading. 3. Try not to wait until the last minute. Many movers will see this as an opportunity to charge the highest amount possible while they think you may not find any reasonable movers at the last minute. 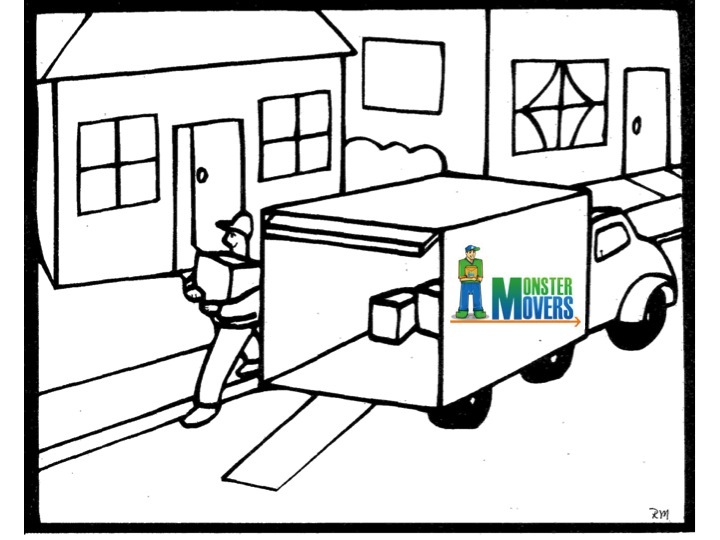 If you do need last minute or emergency movers for an out of state move, call Monster Movers. The rates are always flat rate moves for long distance shipments and do not change based on any dates. Keep Them Involved! If you can , take them house hunting, or have them “find houses” on real estate sites. Let them feel like they are a major part of the move. A. When you find the house you are going to buy – ask your real estate agent for the floor plan – have the kids arrange their room – where will the bed go? the dresser? rug? This is actually really fun. You can incorporate a measuring activity into it as well – will certain furniture fit, etc. C. Create a scrapbook – take a picture of all the old rooms and write down your best memory that took place in each one. 2. Your kids may be overwhelmed, it’s natural. And you probably will be too. If you can get someone to watch them during the actual move this may be a good idea. Older kids can help unpack boxes – just make sure you label what boxes they should be opening beforehand. One time my children started opening my boxes and they opened one that had their teeth from the “tooth fairy.” Imagine the surprise of my 8 year old who found a box of teeth – that needed lots of explaining!! 3. Whenever we moved somewhere we always got a large map of the area and put places that were close-by on it. For example when we moved to Orlando – we put Disney World, Sea World, Busch Gardens but also other places like “school.” “bank,” Whole Foods, etc. 4. Hire a great mover. Getting a good mover that comes on time and is organized with a professional crew is key. You don’t want to be stressed out at this time! Another useful tool that I have found when you are planning a move is a moving company comparison form. Of course, first you have to decide if you are going to move yourself or not – but that’s another post. Frankly, unless you are just starting out and don’t have “real furniture” I always recommend hiring a mover. Why? To ensure the furniture you just purchased arrives at your new home unscathed. If you choose a good mover – one with full time labor, licensed and insured, etc. they should come with shrink wrap to wrap all upholstered items as well as thick moving blankets to protect wooden and metal items. 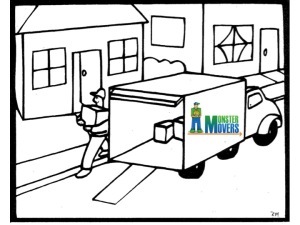 When comparing movers, I suggest using the printable compare movers form from Monster Movers. 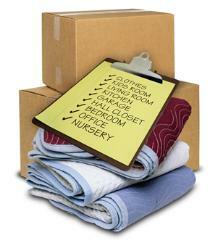 It gives a run down of pertinent questions to ask any movers that you may be considering.